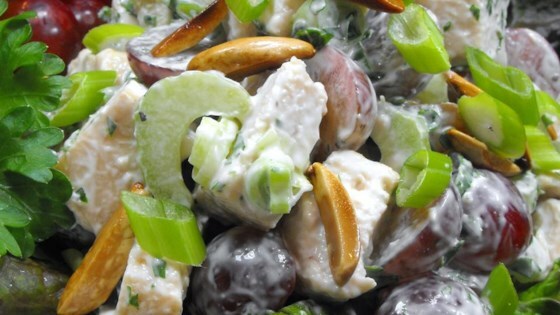 "A delicious, rich and tasty cold chicken salad! Whipped cream gives this a lift. Serve on a lettuce leaf or in sandwiches."